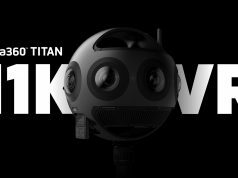 And while failed 360 3D camera plays like Nokia’s OZO and Jaunt’s VR camera might have gotten part way there, they were also professionally focused and priced, in the $50,000–$100,000 range, putting them out of reach for small scale productions. Live Planet’s system is focused on ease of production, and is more accessible at $10,000. That price includes the camera, a suite of management apps, support, and a few starter necessities like a tripod, camera case, and even MicroSD cards—almost everything needed to capture or livestream 360 3D content, though interestingly the camera lacks on-board microphones (but can be equipped with third-party USB audio input devices). The company also charges for cloud storage and distribution through their own platform ($1,000 in credits is included), though creators can also freely distribute to existing platforms like YouTube, including RTMP streaming. The Live Planet camera forms the heart of the system. 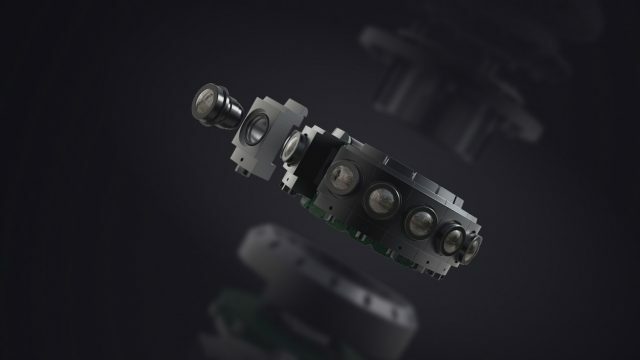 The devices does a lot for its diminutive size; a ring of 16 cameras (Sony IMX 326 sensors with Sunex DSL218 F2.0 lenses) capture in 360 with real-time stereoscopic stitching on board. 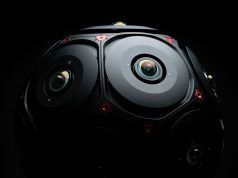 Stitching is handled by an embedded NVIDIA Jetson TX2 module, and Live Planet says that the stitched output is 4K × 2K at 30 FPS, though claims that 4K × 4K will be coming soon. In addition to allowing for livestreaming, the on-board stitching means that the resulting output gets captured to a single SD card, a feature that Live Planet touts over competitor’s cameras, some of which require 6 to 10 individual SD cards on which separate views from each camera are captured to later be stitched together from a computer. When it comes to streaming, the company has created a view-dependent streaming protocol which dynamically streams higher quality video only where the user is looking, thereby enhancing quality while reducing bandwidth requirements. 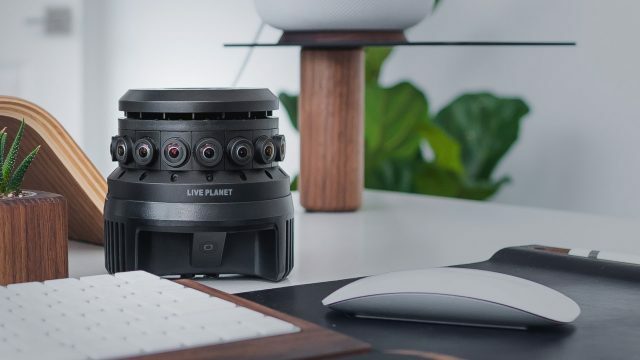 Live Planet founder and CEO Halsey Minor says that “VR video has been hindered by poor quality and insane complexity.” And while the Live Planet System looks like it’s taking a good bite out of the “complexity” problem, “quality” is another matter. Judging by results from the company’s consumer-facing Live Planet video app on Oculus Go, although it does seem to achieve somewhat better quality than other streamed 360 3D content, the overall image quality is still a serious distraction from the experience. To be clear, this isn’t just a Live Planet problem—they appear to be doing it a little better than others, but the bar is still too low to make for particularly compelling 360 3D content streamed to a VR headset. 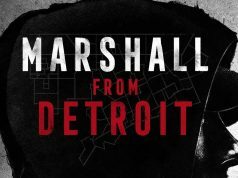 Except maybe in a few special cases—like watching a cherished band up close—the quality issue brings into question the entire 360 3D livestreaming premise of the Live Planet System, as suggested use-cases like “witnessing a Hail Mary from the 50 yard line,” seem utterly infeasible at present streaming quality. 360 3D content that’s pre-downloaded at top quality, rather than streamed, usually fares much better in clarity, but doesn’t make much sense for anything but higher-end productions, and at present it appears that the Live Planet app doesn’t support pre-downloading of content. 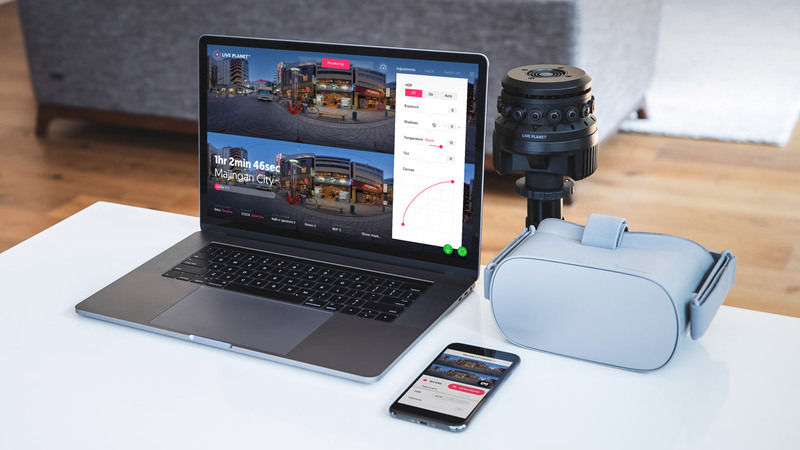 As a stopgap, a portion of the immersive video sector has turned toward 180 3D videos instead, which effectively doubles quality by focusing the available pixels in a given frame in one specific direction instead of stretching them all the way around the user. This approach does seem to be capable of image quality which isn’t fundamentally distracting to the viewing experience. 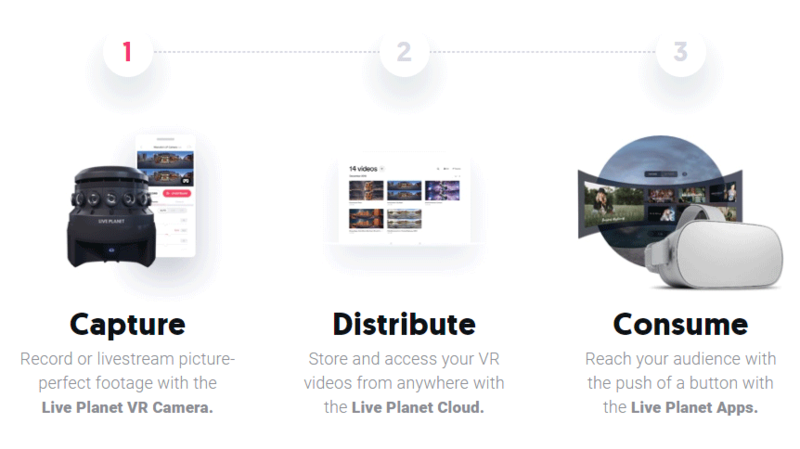 Though Live Planet doesn’t support the format at launch, the company says it plans to, and we’ll be interested to see how their 180 3D quality compares to others once they make such content available.